Implant-retained dentures provide another teeth replacement option as an alternative to conventional dentures. Dr. Edmunds will recommend a teeth replacement plan based on your individual needs and preferences. Removable implant-retained dentures provide replacement for all upper and/or lower teeth. They can be removed for cleaning like conventional dentures, yet are far more secure than unsupported dentures. These dentures can be attached with as few as four implants, though are more secure with additional implants. Dr. Edmunds will advise you on how many implants are necessary prior to treatment. Fixed implant-retained dentures also replace all upper and/or lower teeth. These dentures are permanently anchored to your dental implants. They are used to replace a full set of teeth and can be helpful in preventing bone loss. The strength of dental implants provides an ideal anchor for dentures that will not become loose or slip within your mouth. Implant-retained partial fixed dentures are a type of bridge that is anchored to one or more dental implants. A standard bridge is a type of partial denture that replaces one or more teeth. The standard bridge secured to surrounding teeth, which can cause these neighboring teeth to become loose. 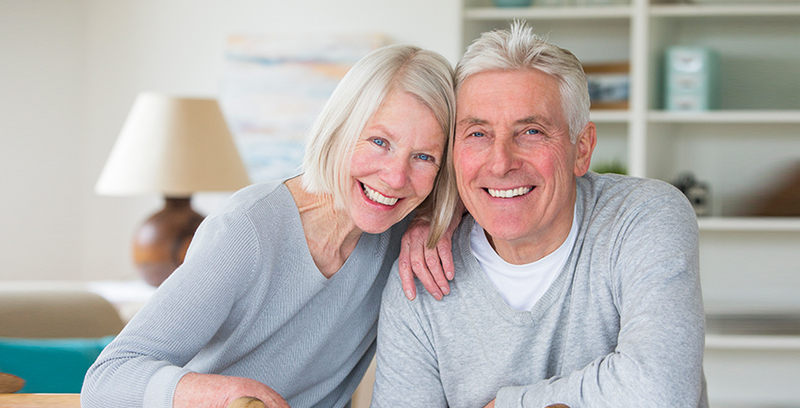 With implant-secured partial fixed dentures, the implant provides the anchor, so your natural teeth are not compromised by your teeth loss solution.